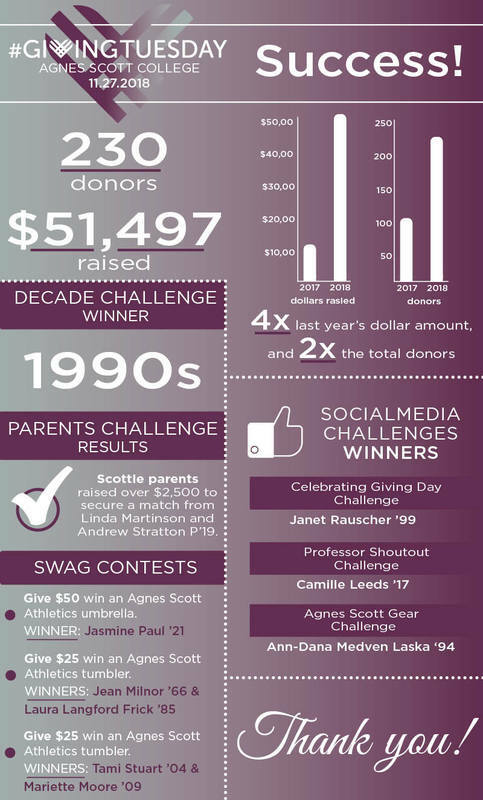 This campaign ended on November 28, 2018, but you can still make a gift to Agnes Scott College by clicking here! Thank you to our amazing supporters for making #GivingTuesday a success! Because of you, Agnes Scott College is thriving and her future is bright. 🙌🏾 Check out the infographic below for highlights from the day. You can also view a donor list, class leaderboard and more stats by clicking on the “donors” tab above.